No matter your level of education or the skills that you bring to the table, chances are that there is a career option that you can consider. Here are the essential hard and soft skills that you will require. Many of the positions in modern healthcare will be customer-facing. The front-line roles will require empathy, and not just for the patients themselves. Healthcare settings can be high-stress, and you will need to be able to maintain your empathy no matter who you are dealing with. This will be easier if you already have some experience in looking after people, and you may find that even previous employment in retail or hospitality can go a long way to establishing the foundation of your core skills. Being able to better understand the fears and stresses of those around you will be very beneficial in a healthcare setting. There are many potential roles available in healthcare, but the vast majority of them will involve some level of competent people skills. While not every healthcare role will require a formal education, the higher your level of learning the more likely that you will have better options. If you do not have a degree and feel that this is a barrier to your healthcare ambitions, it might be easier than you think to get the level of qualification that you need. The internet has created a variety of online learning resources, and you should look at established institutions offering online education. Check out Walsh University’s online nurse practitioner programs in Virginia, and you could be able to finish your studies without disrupting the existing work or family commitments that prevent you from trying more traditional educational options. As with the majority of careers, the more experience that you have, the easier it will be to find employment. The good news is that it’s never been easier to get work experience in a healthcare environment. You may not get paid for these experiences, but volunteering always looks good on your work profile. You could ask at your local medical facilities about the chance of coming in for a few hours a week, or speak to relevant charities about how you can help. You may find that your healthcare career choice will require some form of work experience, so it’s certainly something that you ought to look at more closely. Never underestimate the value of quality organisational skills. You may have developed these in your current position, and if you’re running an office or even a fast food outlet, then your ability to organise will be highly valued. The healthcare sector employs huge numbers of people, and those people need to have their schedules prepared and ready to go. 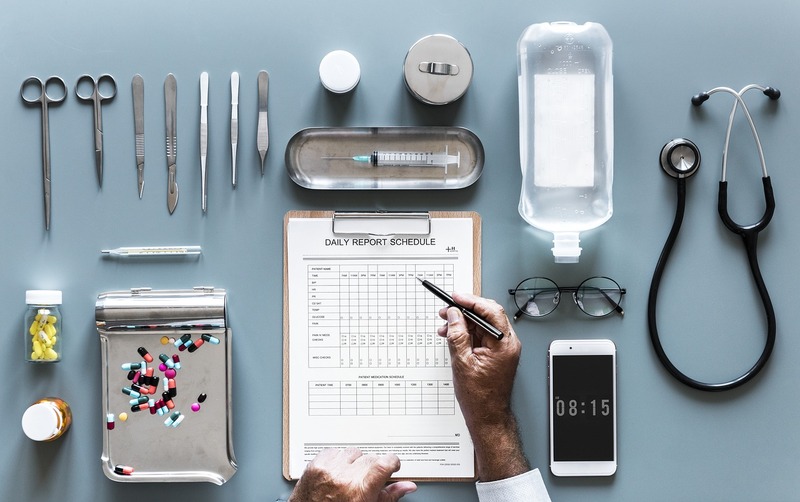 Managing high numbers of workers into a set routine can be challenging, but if you already have some experience with this, whether it’s in a healthcare environment or not, then it’s worth identifying as a core requirement in the vast majority of healthcare roles. There isn’t an industry sector in the world that isn’t in need of IT skills. If your knowledge and skill with computers is above par, then you will have a potential career in healthcare. There are many number of areas where your IT skills might be an advantage, with everything from data analysis to record-keeping all valuable requirements. IT specialists are always going to be highly valued in hospitals, clinics, and care homes, and developing your core strengths could be the key to a better healthcare career. If the idea of a career in healthcare fills you with excitement then you need to start doing some research. Look at the wide variety of careers available and explore which options might be appealing. Compare the requirements of any of your options with your own soft and hard skills. Talk to people already working in the sector, and get some professional advice about the right steps to take next. Make sure that you know as much about your chosen path as possible, as this will reduce the chance of encountering any unexpected barriers to your ambitions. Ensure that you know exactly what is expected of you and set the right goals in the right timeline. While every career has its own pitfalls and benefits, a healthcare role can provide a lot of satisfaction. It may not always be easy, but the fact that your work is all about improving the lives of others can be very inspiring. Is healthcare is calling you? Let us know what you have done to start making some early decisions about your career dreams and goals.